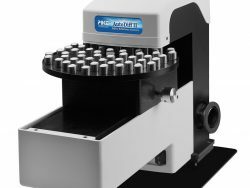 Increase sample throughput for the IR transmission analysis of films and pellet samples with the Automated Horizontal Transmission Accessory. 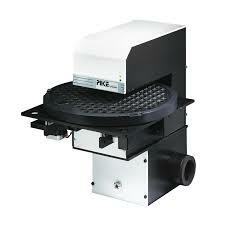 Depending on sample volume requirements, a 8″ or 12″ version is available. The 8″ and 12″ versions accommodates 37 and 83 25 mm diameter samples, respectively. 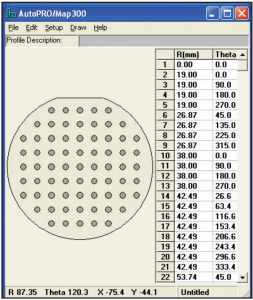 Custom sampling plates are available. 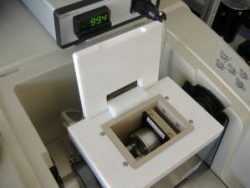 The PIKE Technologies Automated Horizontal Transmission Accessory is for increasing sample throughput for analysis of films and pellet samples. 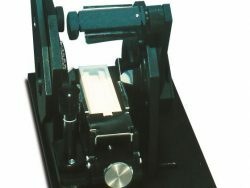 The Automated Horizontal Transmission Accessories are available in an 8″ or a 12″ version depending upon sample loading requirements. 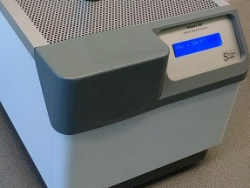 The 8″ version will accommodate up to 37–25 mm diameter samples. 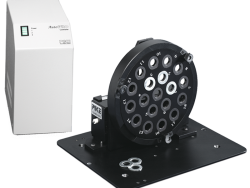 The 12″ version will accommodate up to 83–25 mm diameter samples. Please contact us for other configurations. 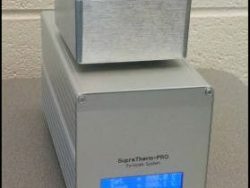 Both the 8″ and 12″ versions of the Automated Horizontal Transmission Autosamplers also can do specular reflection analysis if your applications require. 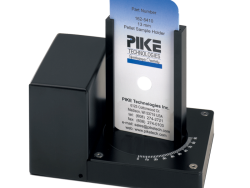 PIKE Technologies Automated Horizontal Transmission Accessories are compatible with most FTIR spectrometers.